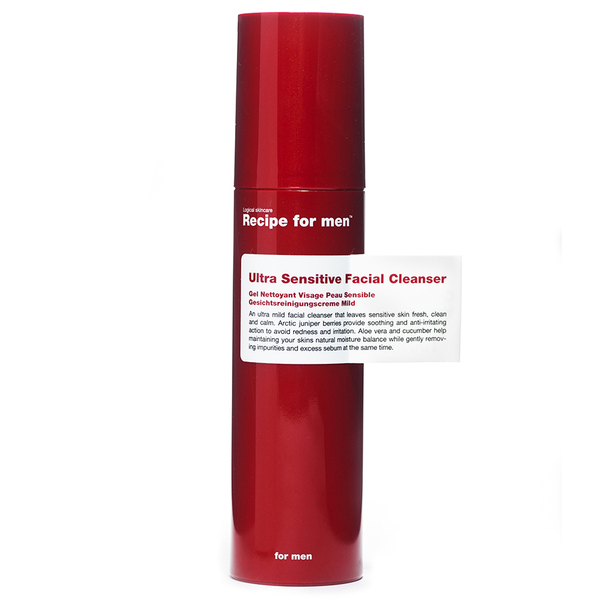 Help maintain your skins natural moisture balance with this ultra mild facial cleanser. Leaves skin fresh, clean and calm. An extract of arctic juniper berries helps to provide soothing and anti-inflammatory action to avoid rednnes and irrition. Contains aloe vera and cucumber to gently remove impurities and excess sebum while maintaining moisture. This is a nice non foaming cleanser with a pleasant scent, that does not irritate the skin, no dry taut feeling after use. But I have yet to find a cleanser for combination, sensitive skin that delivers a good clean, I found my skin felt and looked oily a few hours after use and did block the pores around my stubble which left me with a few spots. So some pluses and minuses, which I find with all cleansers.